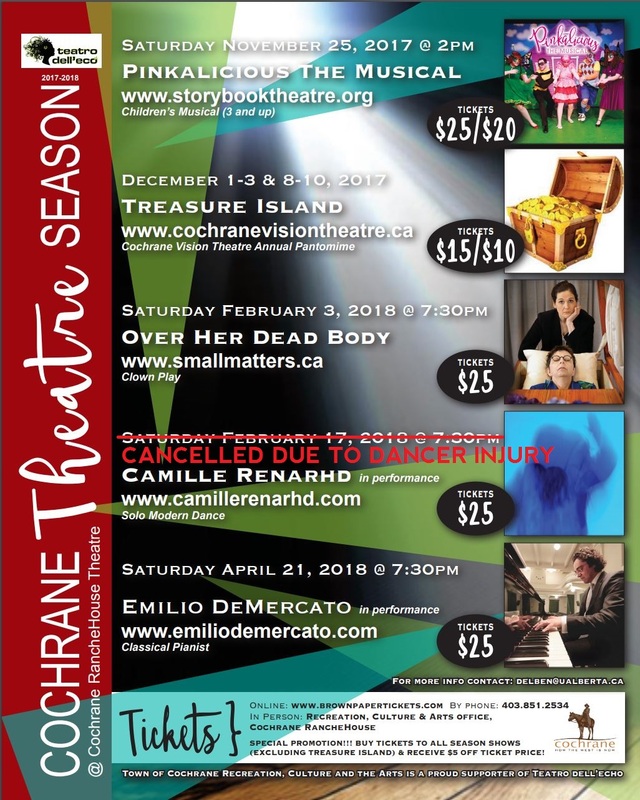 Teatro dell’Eco and the Town of Cochrane, Recreation Culture & the Arts are proud to present the Cochrane Theatre Season! 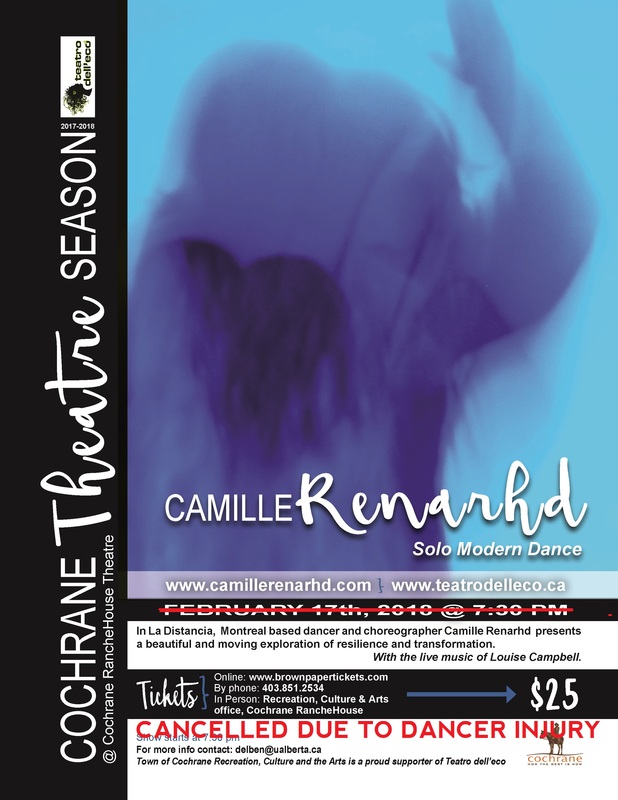 This Cochrane Theatre Season has a rich program, presenting various kind of events. We look forward to welcoming you! 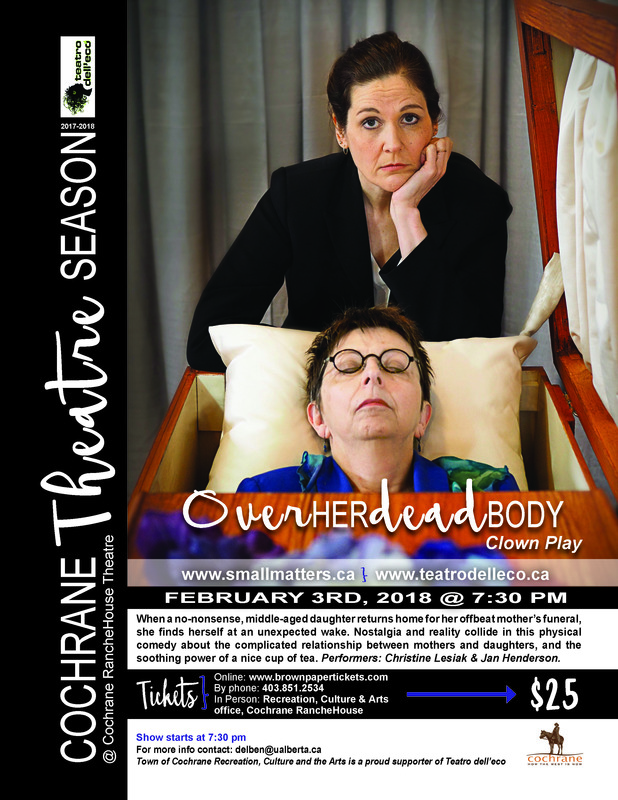 Cochrane’s Teatro dell’Eco and the Town of Cochrane, Recreation Culture and the Arts are pleased to present Over Her Dead Body on Saturday, February 3 at 7:30pm at the Cochrane Ranchehouse Theatre. Cochrane’s Teatro dell’Eco and the Town of Cochrane, regret to inform you that the solo dance performance “La distancia que nos aproxima” is cancelled. 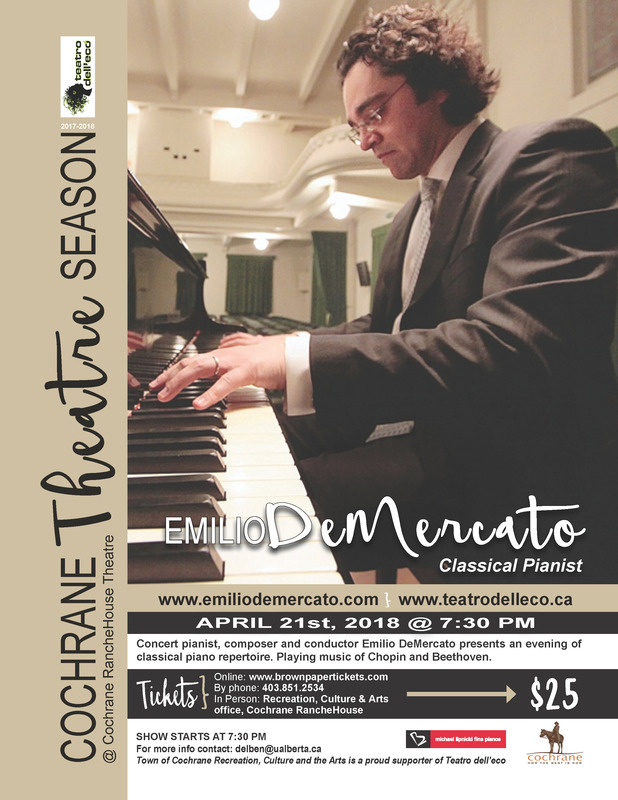 Concert pianist, composer and conductor Emilio DeMercato presents an evening of classical piano repertoire. An active performer since the age of nine, DeMercato’s extensive repertoire ranges from baroque to contemporary music: as a soloist, with chamber ensembles and with orchestras across Europe, Asia and North America.